This one's easy. Columbus Center. It was a harder choice for me, and it came down to Columbus Center v. Congress St. While I think Columbus Center is far more reconstructive of the city than the Congress St. proposal, I voted for the latter, mostly for political reasons. If the award has any sway, I'd want it to push the development which is much more likely to be crushed by opposition at this point. The fact that Columbus Center has persevered despite a fanatical NIMBY siege and headline political scandals gives me confidence it will one day be done, with or without this community's help. What's with that ugly little triangular park @ Columbus Center, defined by Tremont and Arlington? Total waste. That part of Bay Village/Chinatown is already a disgrace. I voted CC anyway. But I love all of these projects except TNP. Though if we instead had to vote for the "Project whose cancellation would anger you the most," it would be the Copley tower. 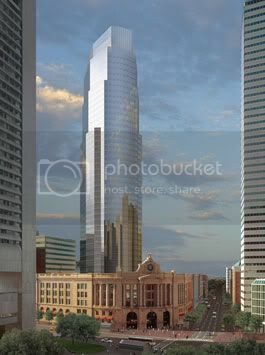 This is because, inevitably, the NIMBYs who kill it would appeal to the height argument...despite the fact that the Hancock and Pru are RIGHT NEXT DOOR. It's a tough choice between Columbus Center and the Congress Street Garage redevelopment ... but I voted for CC. 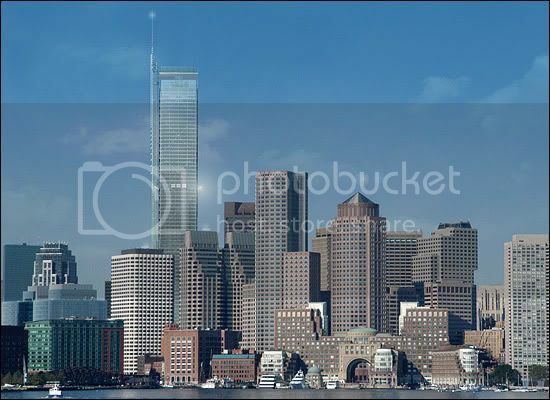 I never liked the Winthrop Square tower. Despite Winn Development's bumbling, I'm going CC. I'm in the minority of people who don't particularly mind the Garage (although I like the new designs as well). To me, filling in an empty spot does more for the city than replacing an old (albiet possibly not the best) building. One observation here, Columbus Center, while I like the proposal as much as anybody else here, how is it that we can call this new? The proposal even in its current form has been floating around for at least three years. Is it about making a statement? Are people that naive to think anything this board says actually matters in the real world? Do people think if it gets a favorable vote from a dozen or so people on an internet message board all legitimacy is suddenly going to return, financing will appear and construction will spring back to life? Also someone should add the correct rendering of the Government Center Garage project rather than the cheapo schematic massing plan. I wouldn't vote for that either if that's what was actually propsed. There definitely should be a press release of the results or something so that someone does pay attention. If Scott V.V. is really reading here and we have an elected official (John A. Keith) emerge from the forum, there is a lot of potential for influence. I updated the image of the Congress St proposal to reflect the winning competition entry. Sorry about posting the placeholder image... Laziness on my part. 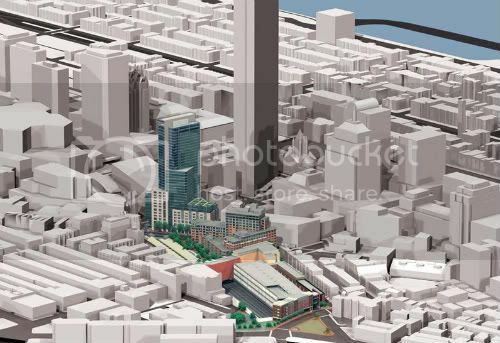 I voted for the South Station tower merely because I want closure on what are three decade-old plans for the South Station transportation center. 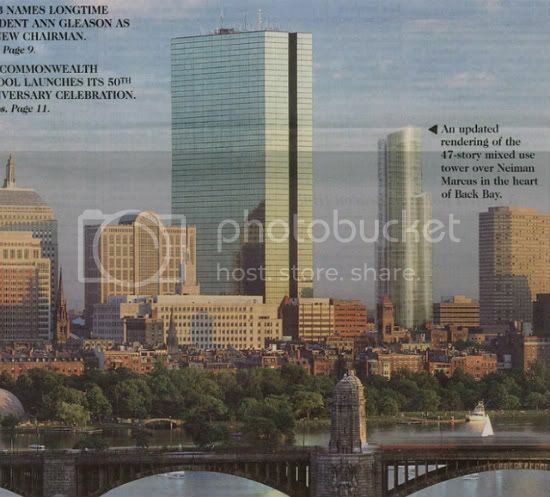 In all other respects, Columbus Center adds the most to Boston as a liveable city. And the Congress Street Garage proposal has the greatest impact on downtown Boston--but I don't expect to see it proceed for many years. three decade-old plans for the South Station transportation center. including expansion of the inter-city bus station, which is at or over capacity now. I believe it would also create an indoor connection between the train and bus stations. I love the feeling of pulling into South Station and being outside at the North East Corridor's terminus. It is as if the entire rail line leads straight into Boston. I think a good deal of this feeling would be lost if this was covered. Maybe it is not uncommon to have major stations uncovered (I admittedly have not traveled much by train), but compared to the caves of Penn and 30th Street Station, South Station has a unique feel that I would hate to see messed with. There are so many parking lots and garages (and pike parcels) that need to be built over. 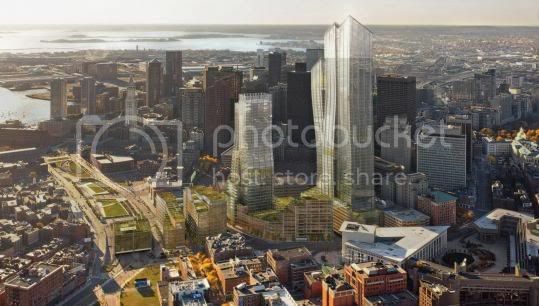 Indeed, South Station is such a prime candidate for an arching glass shed that it brings tears to my eye to think of the dark drop-ceilings the tower plan would impose.